We've been lucky to enjoy and cook with wonderful potato varieties like the Klondike® Medley, Klondike® Rose, and the new CarbSmart™ Potatoes. 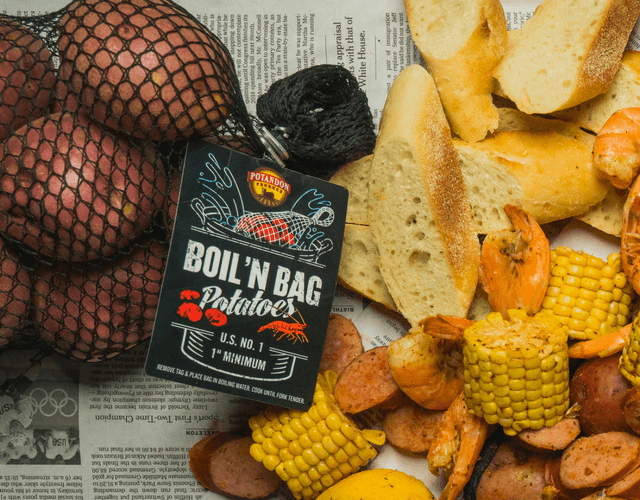 Now, we get to work with this new innovation – the Boil 'N Bag Potatoes! 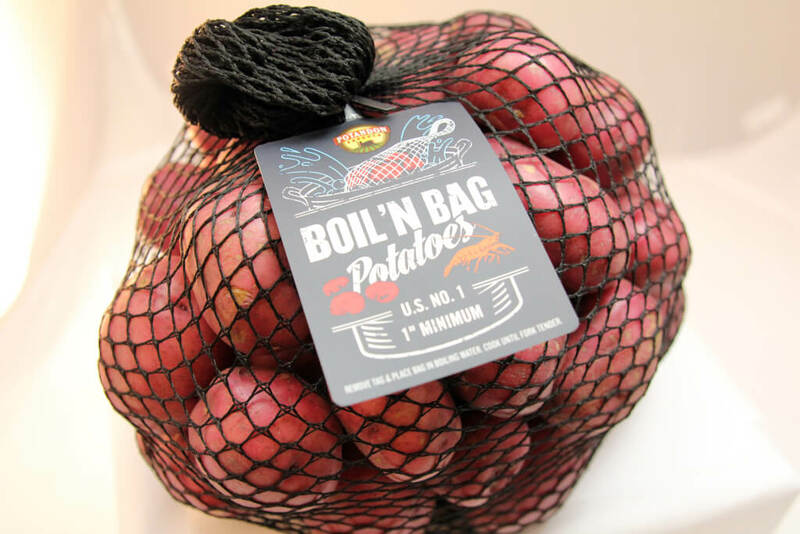 Boil 'N Bag Potatoes are potatoes that, you guess it, can be boiled right in their packaging! 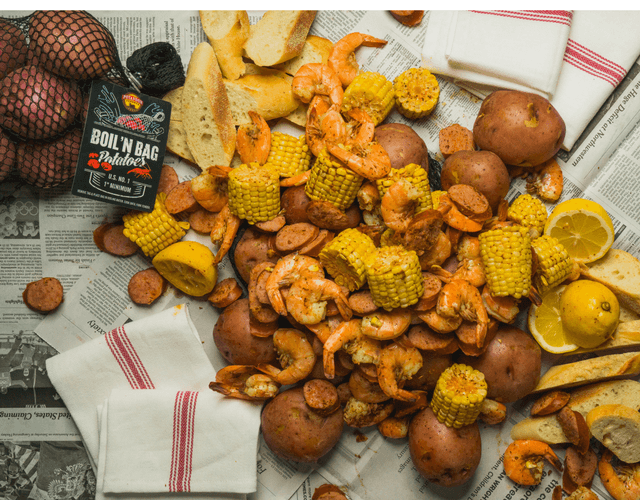 Especially created for Low Country Boil recipes, this bag won't disintegrate or fall apart during cooking AND you don't have to fish out all of those potatoes during the cooking process. So eating potatoes is not only easy, but it's also a good move to make for your health. We've heard it before – stay away from starchy vegetables. However, all vegetables are an important part of our diet and our bodies need these healthy carbohydrates to function. Carbohydrates are broken down into glucose, which is what our cells need to survive. And potatoes provide plenty of healthy, unprocessed carbs without a ton of calories, at only 110 per serving! Just one medium potato, with its skin, provides more of the recommended daily value of potassium than a banana. Plus, 4.3 grams of protein, 10% of your daily value of B vitamins, and 2 grams of fiber! Yes, please!